It's a good idea to reread The Jewel prior to reading this book. 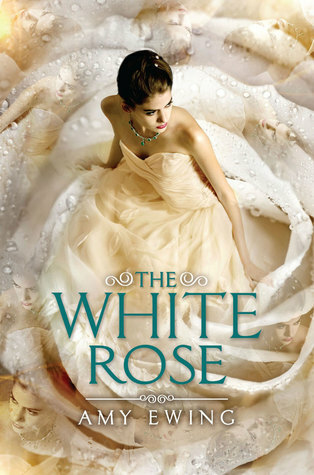 The White Rose picks up right where The Jewel left off. The reader will reacquaint his/herself with Violet, Raven, and Ash. Violet and Ash have more than a few cutesy scenes; they grow in their relationship though I have to admit I became a little tired of the predictable dialogue the two had. The plot was fairly fast-paced, but I think it was easy to figure out what was going to happen next. The author does address any queries the readers had from The Jewel, but after finishing this book I was left with even more. Violet's character was "meh" for me. She became more of a lovey dovey girl rather than a strong heroine. Ash's character didn't develop for me. I wanted Violet to stand on her own two feet. The supporting characters were pretty well developed and I would like to get to know some of them more in the next book in the series. Overall, this book is recommended to young adult/teen readers. Thanks for the heads up on this series!